Lots of Dresses at Macy’s, DVF, and Anthropologie Are Up to 72 Percent OffFor all your holiday party needs. 30 Percent Off DVF Shirts, Skirts, and Dresses That You’ll Actually Want to BuyThey’re 30 percent off as part of Shopbop’s big Columbus Day sale. 52 Dresses on Sale Right NowFor every budget, size, and occasion. 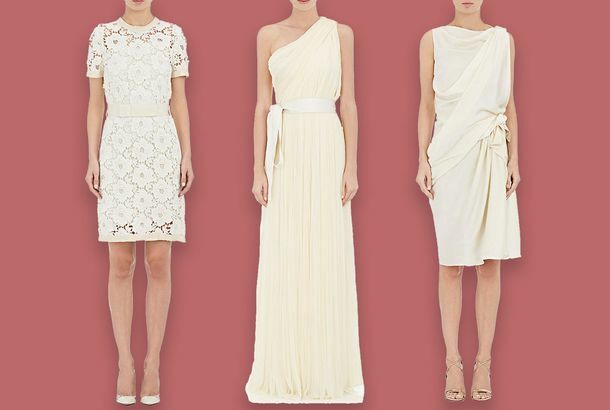 What to Wear to a Bridal ShowerFourteen pretty options that you’ll actually wear again. A Linen Dress Is the Next Best Thing to Being NakedThirteen breezy options for days when it’s too hot for clothes. 39 of the Best Summer DressesIn every style and every price range. Behold: A $38 Dress You Can Wear All SummerFrom a mysterious company called Venidress. 17 Easy Shirt Dresses You Can Wear to WorkJust in time for warm weather! My Holy Trinity of Warm-Weather Dresses Are All $33 at TargetAnd one of them is just $30. Dresses to Wear to a WeddingFor every occasion, style, size, and budget. How to Get the Beyoncé Dress Everyone Is Talking AboutThirteen floral dresses like the one Bey wore to the Wrinkle in Time premiere. These Self-Portrait Wedding Dresses Are Up to 60 Percent Off Right NowJust in time for weddings season. There Are a Lot of DVF Wrap Dresses on Sale Right NowSensible work dresses to last you through the rest of winter. 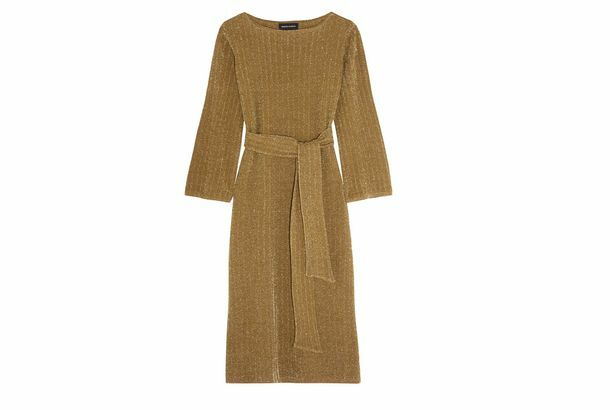 10 Cozy Sweater Dresses You Can Wear to WorkBecause these last few weeks of winter are the hardest. Carolina Herrera’s Playfully Sweet Polka-Dot DressThis spring, we’ll be seeing spots. There Are Lots of Dresses, Shoes, and Bags on Sale at DVF Right NowGreat workwear staples and comfortable winter footwear. Everlane Knows You Need a Black Dress for the HolidaysThey just came out with three styles, all $70. An Embellished Dress That Looks Like the Ultimate Vintage FindPretty and delicate. Take Advantage of Fall Weather With a Long-Sleeved DressIt’s a street-style trend that translates to the office. This Black Dress Makes Me Feel Like a Street-Style StarIt’s by British designer Rejina Pyo. Take It From Claire Underwood: A Sheath Dress Commands PowerIt’s her uniform for good reason. 9 Sweet White Dresses for Hot Summer NightsAll that’s missing is a glass of rosé and a rooftop. Black Floral Summer Dresses Feel So Fresh Right NowThey’re striking and will get you tons of compliments. 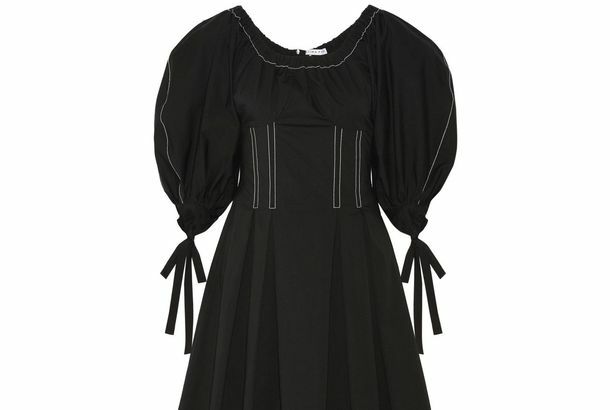 A Summer Goth Dress That All My Friends Want to BorrowThe brand is appropriately called the Vampire’s Wife. A Wedding Is A Great Excuse to Wear a Fun DressFestive finds from $99 to $495. I Wore This Slip for 16 Straight Hours and Still Looked GreatIt’s great under clothes, or even just on its own. There Are a Lot of Lanvin Wedding Dresses on Super-Duper Sale Right NowThey’re all 85 percent off. 7 Turtleneck-and-Dress Ideas to Wear NowLayering tricks straight ahead. A Dark, Floral Wrap Dress You Can Wear in the WinterBecause florals actually work in the winter. Long-Sleeved Dresses Are the Lazy Way to Look Good This WinterAll you need to add are tights and boots. Cheap Thrill: A Durable Denim DressBecause you’ve got things to do. Treat Yourself: A Metallic-Gold Midi DressAnd all the shimmer to match. The Perfect Dress for LayeringThere’s no such thing as too many stripes. Cheap Thrill: a Summer Dress You’ll Want to Wear Every DayFor work and weekend. 13 Black Dresses for Women Who Hate SummerSummertime sadness is real. 23 Cheap Summer Dresses to Buy Right NowAll under $60. A High-School Student Wore Gina Rodriguez’s Golden Globes Dress to PromShe looked great. 16 Chic Wedding-Guest Dresses for Every OccasionEven Harry Potter–themed weddings.